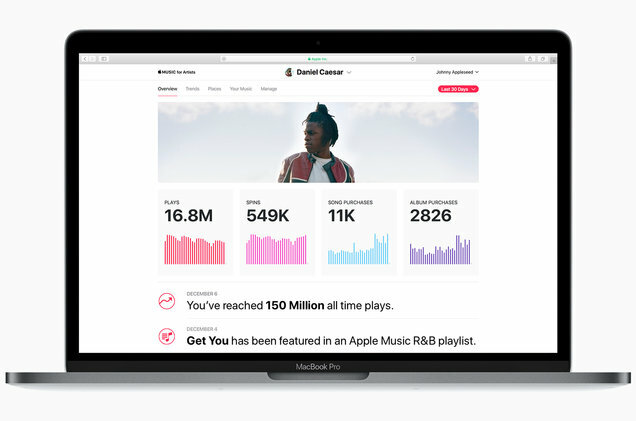 According to a report by Billboard, Apple has started rolling out the initial beta of its new ‘Apple Music for Artists’ to a few thousand artists in the form of a dashboard, that has been designed to provide them deep analytical insight into their fans’ listening and buying habits. The public version of Apple Music for Artists will open to the several million artists with content on iTunes and Apple Music later this year. The source notes that the dashboard’s home page provides artists with their current number of plays, spins, song purchases and album purchases. The user can specify the time period ranging from the past 24 hours to the 2015 launch of Apple Music. They also see an insights panel which highlights key milestones via bullet points such as as all-time number of plays and purchases for specific songs. 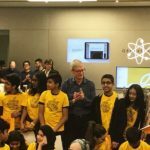 Although it will be available to all musicians on the service, Apple expects Apple Music for Artists to give an extra boost to independent acts who had little access to such information before. Apple also plans to release a dedicated Apple Music for Artists iPhone and iPad app later this year.